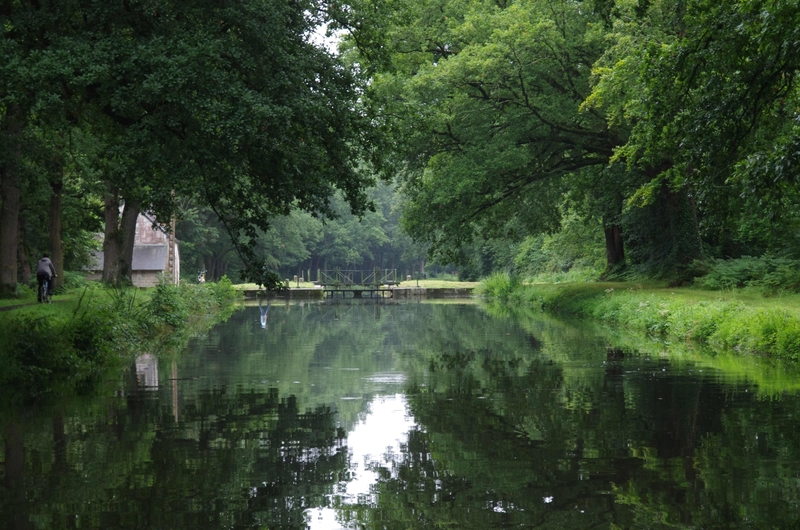 St-Nicolas-des-Eaux, also partly given over to tourism now, is one of those out of the way places, were it only takes you a day or two to find out who deals with whom and why. Just by sitting somewhere and watch to world slowly moving past. There is a hotel, a restaurant, a creperie (“yes!”) and a Bar/Tabac run by an ancient couple. The Épicerie has sadly closed, so there is no chance to fill your larder, the next shop being 8 kms away, mostly uphill. A misty morning heralds another gloriuos day. We also need to make a strategic decision today. We could press on hard and try to reach Lorient. I for my self would be keen to do some tidal work in such glorious weather conditions and also the tides would be in our favor if we get the timing right. And there would be the Festival Interceltic to enjoy. Or we could just leisurely glide down the river and come back tomorrow. Remember we need to find a slipway at the end of our holidays to get the boat back on the trailer. 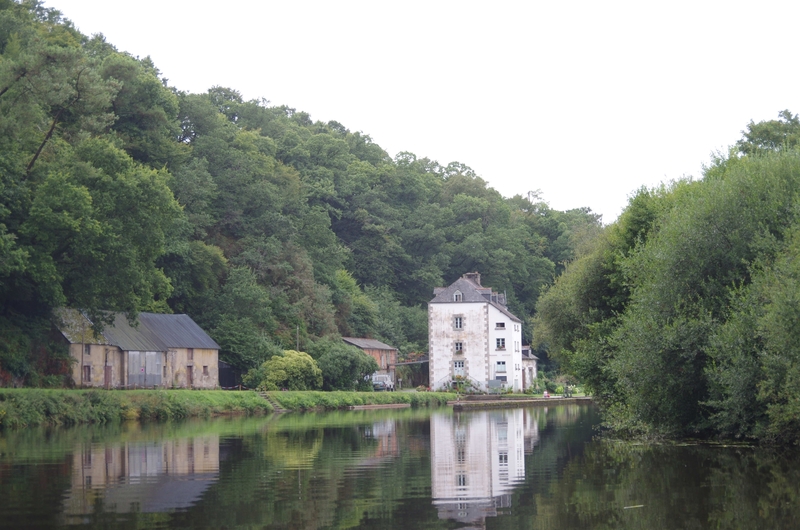 And there is a good slipway in St-Nicolas just below the lock. We make the decision not to make a decision and started downstream reasonably early. 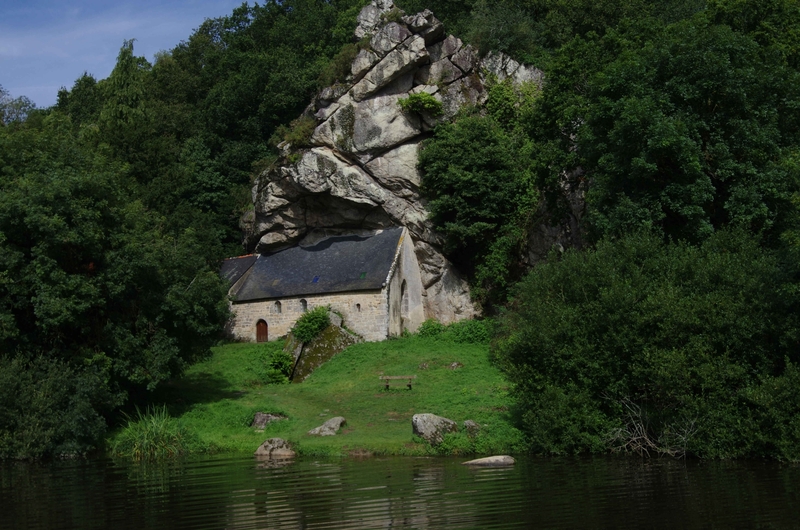 Soon we pass the chapel of the hermitage St-Gildas. Sure this must have been a good place for a hermit. We realize that this river is getting even more prettier and quieter the further we get on, But also the progress is quiet slow as we keep losing time find lock-keepers. 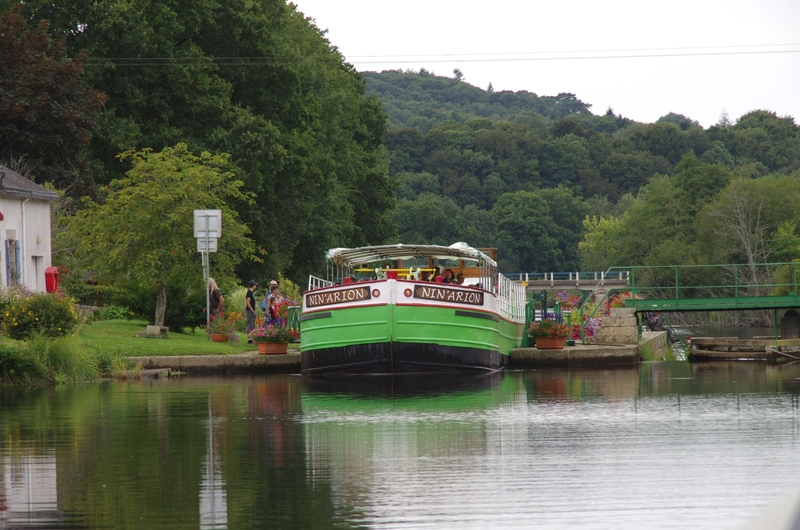 Then, to add some entertainment to the landscape we meet this converted barge. What a beauty. And the only boat we saw moving on the Blavet. As pleasant as this day was, we were not really making much headway. And all that got to a total halt as we got to ecluse 20 Mané-er-Ven. There was no lock keeper to be found and also no phone reception. So all we could do was to wait or just decide to take it easy and navigate back to St-Nicolas-des-Eaux. We decided for the later and spend a relaxed afternoon on the lock island. There were two fishermen with two dogs and the child took a likening to them. Not really sure if the fishermen took a likening to the child, but at least they kept the child entertained which we rewarded with a few cans of beer. 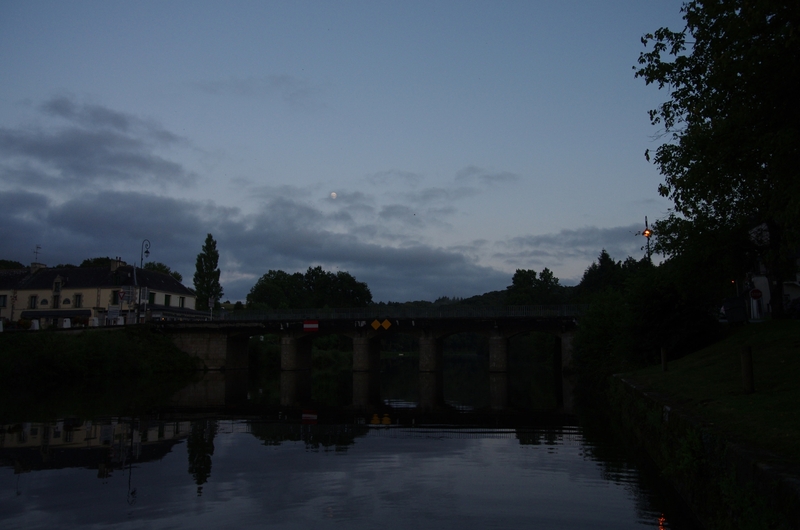 Sharp 19.30 the lock keeper appeared out of nowhere, just to be totally surprised by the view of an actual boat. We let him know of our plans an he agrees to meet us here at 9.00 tomorrow morning. After the fishermen disappear we get the boombox out and have an impromptu disco till well after dark. It is really nice to make some noises if there is nobody around that would be annoyed. No fresh bread today as we were moored on very quiet spot miles away from everything. We pulled the pins and arrived sharp at nine at ecluse 88 Joli-Cœur (the beautiful heart, oh them names). At the same time two male eclusiers arrive on their bikes. The older one greets us jolly in a perfect Brum dialect. Unfortunatly this is all the English he has, weird. 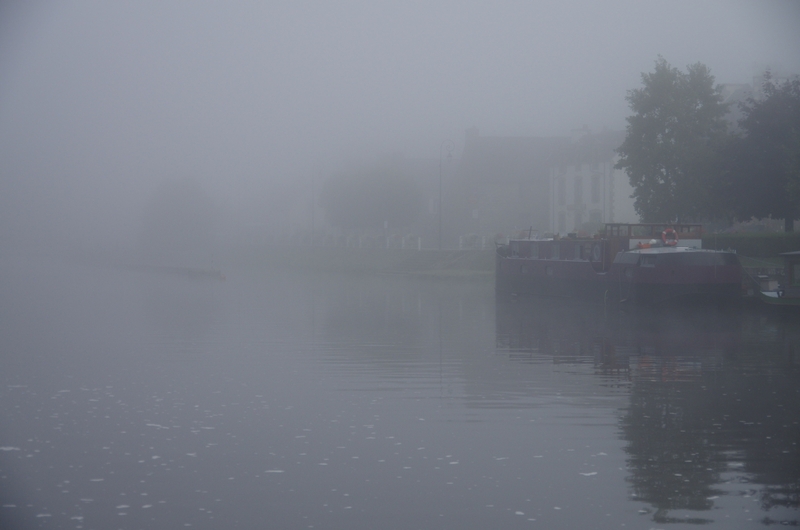 The two of the make short work to get us down to Pontivy and we spend a pleasant, misty morning. Just before lunch we arrive at Pontivy. I spent a few holidays around Ponitvy some 25 years ago and have some fond memories. 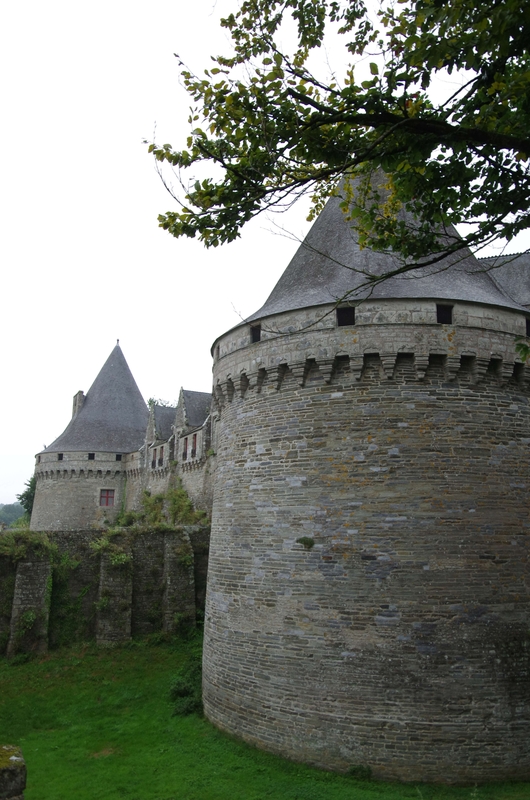 But all in all this time it is a bit of a letdown and Pontivy looks like it had a hard time over the last decades. Napoleonville, the “new town” founded by Napoleon in 1805 looks like Karl-Marx-Stadt in the late 80s, houses derelict, streets more pot-holes than tarmac, all grey and let down. All the moorings that are marked in the Guide du Breil are made unusable. Either are the historic bollards removed or the mooring as such fenced in. The slipway made unusable by installing a traffic island right across the entrance. And worst of all, the promised castle can’t be visited by the child as a part of the battlement has collapsed recently. I told them not to use cavity walls and Irish contractors. But hey, would they listen? Dodging some torrential showers we retire to the Creperie de Chateau. A place caught in time with 60s furniture but also almost 60s prices and very nice food. After lunch we stock up on fuel and food at the SuperU and off we go to leave the place. 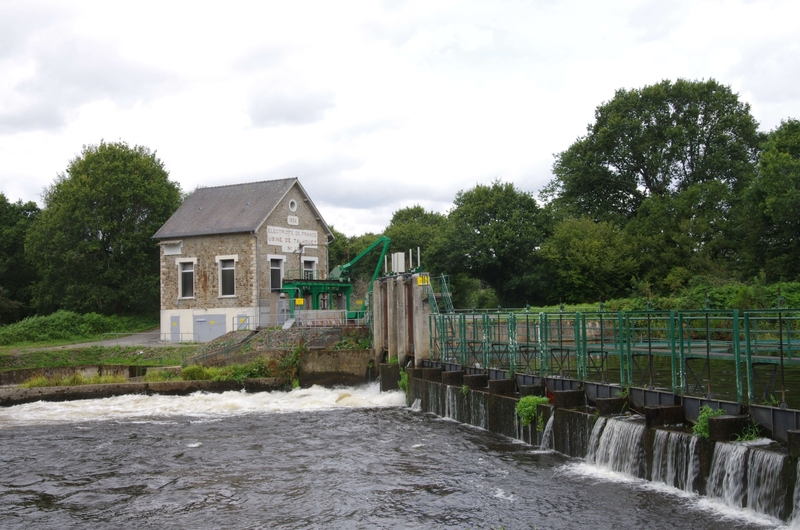 Coming here you will soon realize that the Blavet must be one of the most beautiful rivers in all of Europe. Hemmed in by dark forests and rocky outcrops it winds its way in a generally southward direction, not without circling the compass a couple of times. All that interrupts the solitude are a few tiny hamlets, the odd lock and some old stone bridges. Along most of its length there is hardly any modern infrastructure. The lock keepers cottages have no telephone and mobile phone signals are a tale from a distant future. Unlike most of our voyage, where the eclusiers were already warned of our approach, here we have to find the eclusier ourselves. Every lock keeper works “his” lock and one lock down or up, depending on the direction of your movement. Thus only every other keepers cottage needs to be manned. Later we will be told that it is absolutely acceptable to summon the keeper by blowing the horn. Regrettably Argos’s horn dangles rather sorrily from the forward bulkhead in need of replacement. Just before closing time, we reach St-Nicolas-des-Eaux. More about this little gem of a village in a later post. Fresh Baguettes and Pain au Chocolate for breakfast and of at 9 a.m as we have to do a bit of work to do today. 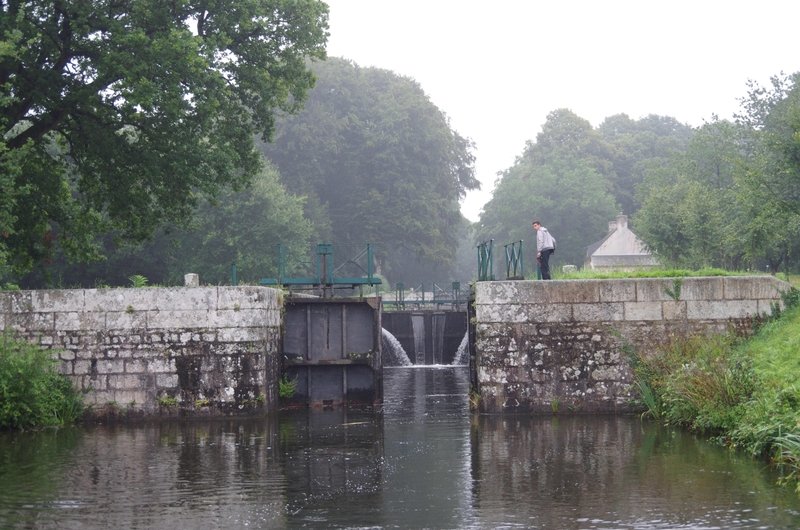 There are three locks and about five km before we reach the 22 lock flight that climbs up to the Hilvern Summit connecting the Oust with the Blavet. There will be few signs of civilization today. 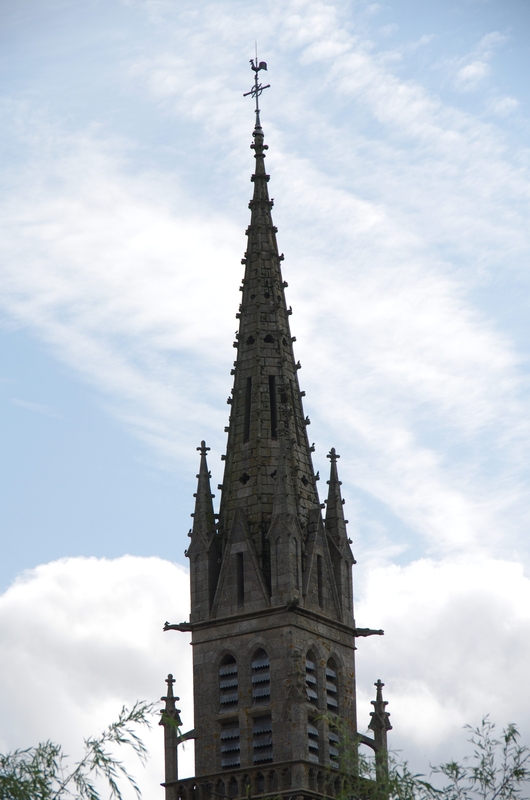 So please watch this picture of St Samsons richly embellished church tower, while we see something else than trees and locks. 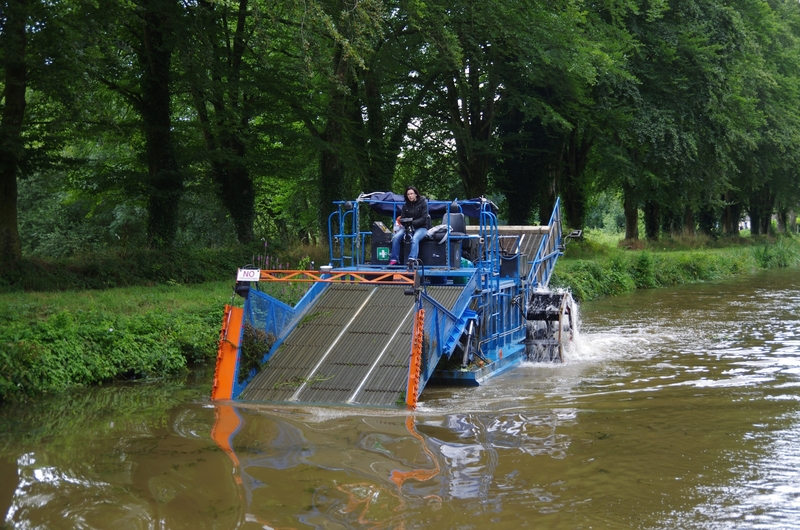 More excitement awaits round the next corner where we overtake this weed cutter….. and notice immediately why he is here. Above ecluse 55 Coët-Prat we leave the Oust and enter the still water canal over the summit. We had no problems with weeds so far, but here it immediately gets fubar. 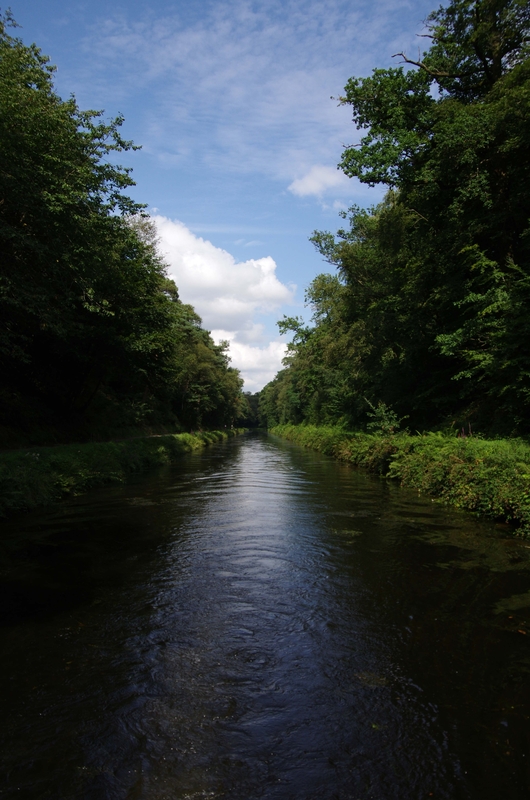 Also the canal is nice and wide, an actual navigation channel is nonexistent as everything is totally overgrown and the prop constantly fouls. Good job we can just tilt up the outboard and don’t have to go down a weed hatch. The Guide Fluvial claims that there are 20 boats crossing the summit a day in high season, but from here on what little traffic we have seen so far diminishes to almost nothing. But of course one boat is enough to slow you down to a crawl. This rather nice French couple (more of them later) is so scarred about their beautifully restored Broads cruiser that every single lock seems to take ages. At least it gives me plenty of time to keep the prop cleaned. 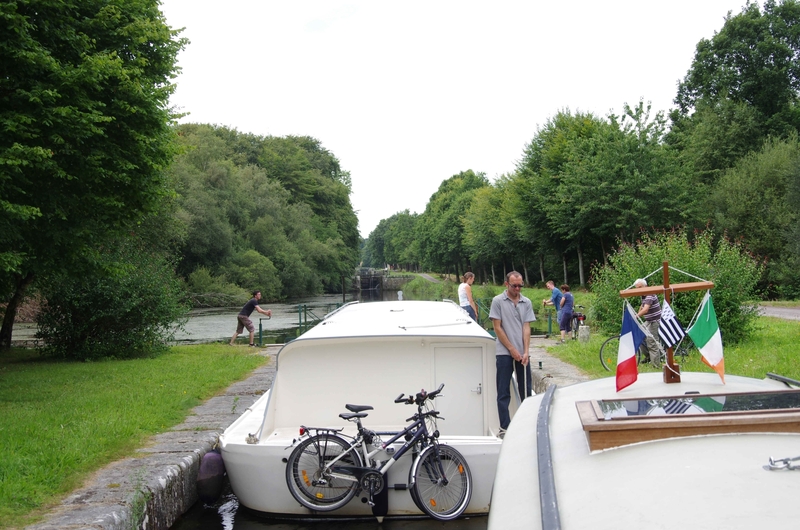 The locks are operated by three students from Rennes who make every effort to make the whole process as fast and painless as possible. Very professional. We reach the summit well after lunch and fill up the lock keepers with plenty of cool cidre. Then we head down the Tranchée d’Hilvern in order to descent the first nine locks on the other end of the summit.